Dr. Tejal Gandhi is president and CEO of the National Patient Safety Foundation. Two prominent advocates of improving patient safety, the National Patient Safety Foundation and the Institute for Healthcare Improvement, will join forces and become one organization as of May 1, 2017, the groups announced Monday. The new group, which will continue under the Institute for Healthcare Improvement name, will eventually move to a new office in the Boston area, where both organizations are now based. Derek Feeley, CEO and president of IHI, will lead the combined organization. One of its goals is to revitalize the issue of patient safety, which IHI and NPSF describe as a serious but overlooked threat. 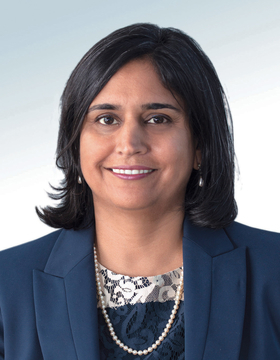 “Preventable patient safety harm is a public health crisis,” said Dr. Tejal Gandhi, president and CEO of NPSF, who will lead the new organization's patient safety teams. “I think that there has been a complacency around safety,” she added. NPSF is known for its thought leadership and research on patient safety, while IHI is a considered a leader in redesigning healthcare to be safer and more efficient. By merging, their leaders say, they can expand their reach and accelerate progress in the realm of patient safety. NPSF has membership and credentialing programs that will reach more people after the merger, Gandhi said. Those programs will retain the NPSF brand under the new organization. In 1999, the Institute of Medicine's landmark report To Err Is Human suggested that as many as 98,000 people died every year from medical errors. The report put patient safety on the radar of healthcare leaders and providers, but much room for progress remains. Sixteen years after the IOM report, the NPSF published Free from Harm, a follow-up report. “In the intervening decade and a half, it has become increasingly clear that safety issues are far more complex—and pervasive—than initially appreciated,” the report said. It called for a total systems approach to patient safety to replace piecemeal interventions. The merger announcement comes at the start of Patient Safety Awareness Week. It also coincides with a call to action from NPSF that outlines a public health framework to improve patient safety, in part by monitoring and measuring it. Another goal of the new group will be to draw greater attention to patient safety across the care continuum, and not just in hospitals. Medication safety, transitions of care and medical diagnoses are three key areas seen as ripe with opportunity for error. “There's a significant set of issues to be faced in primary care and post-acute care,” Gandhi said.